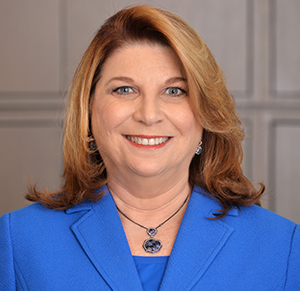 Elaine M. Cohen - Rennert Vogel Mandler & Rodriguez, P.A. Elaine M. Cohen has been practicing law in Florida since 1981. Her practice is primarily concentrated in the area of commercial real estate law. Representation of developers of residential, hotel, commercial and mixed use projects in construction and mezzanine loan work-outs and deed in lieu of foreclosure transactions exceeding $1 billion. Representation of major commercial lender in connection with cross-collateralized loans aggregating approximately $47 million on seven shopping centers located in Palm Beach and Martin Counties, Florida. Representation of Resolution Trust Corporation with respect to the sale of multiple asset portfolios, including portfolios consisting of health care related performing loans with book values of approximately $352 million. Representation of major commercial lender in connection with restructuring of $83 million loan on office complex located in Palm Beach County, Florida, including negotiation of inter-creditor agreement on behalf of agent bank in connection with $50 million first mortgage loan participation. Representation of developer in connection with the development, construction and leasing of $87 million multi-use hotel, retail and office complex located in Miami-Dade County, Florida. Representation of residential developer in negotiation and closing of $288 million development and construction loan. Representation of community redevelopment agency in public/private venture with respect to the construction, leasing and operation of mixed-use cultural, residential, retail and office project located in Palm Beach County, Florida. Representation of international art fair and convention company in connection with bringing major contemporary art exhibition to the City of Miami Beach, including negotiations with the City, convention center management company and art fair consultants.